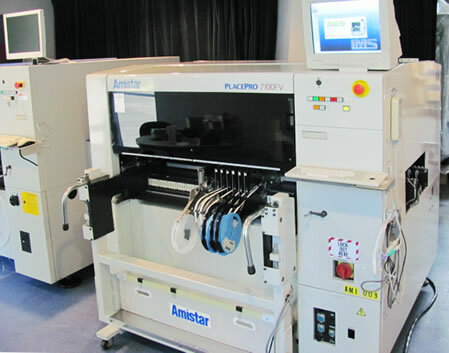 Amistar Automation frequently offers used equipment for automated printed circuit board assembly, electronic assembly, and pcb manufacturing. Check this page often for new offerings! 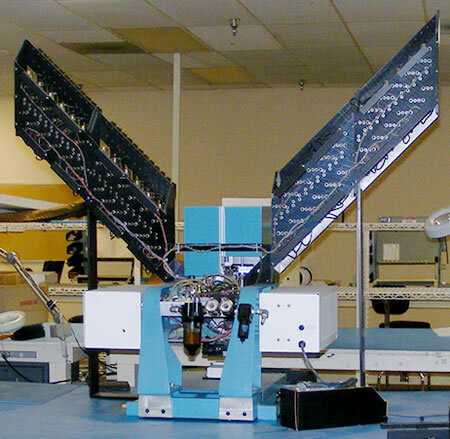 PCB is manually moved into position using ‘light spot’ and locating pins. Machine forms parts, inserts and crimps leads underneath. ASCII Tape programming, random-access component feeding. Up to 48 Stations – Max. 48 different axial components on-line. Comes with appx. 80 component cartridges and loader. Comes with ASCII Tape Punch for programming, Tape.